Both men and women can experience hair loss for a variety of reasons. The most common causes are genetics and aging, however other factors such as pollution, surrounding environment, medications, nutrition, stress, illness, infection and artificial hair coloring or styling can also have an impact. Whatever the reason, we understand that hair loss can be a source of social anxiety and frustration for many. We’ve partnered with one of the leaders in this medical field to bring you a solution. Bioscor International is a global network of specialized medical centers that has been providing effective hair restoration treatments for more than 20 years. First founded in Australia, the organization now has 23 centers in 11 countries around the world including the United States of America, Canada, Japan, Hong Kong and many more. 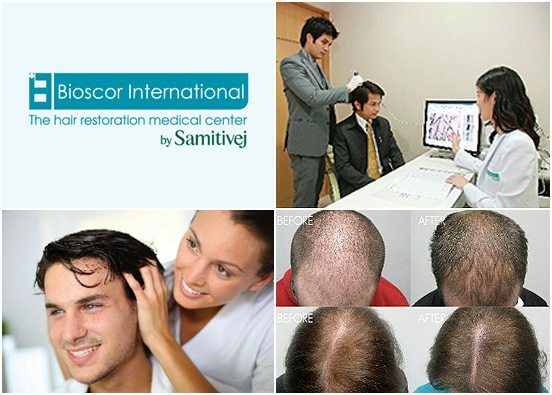 Today, Bioscor International has partnered with Samitivej Hospital to open its 24th branch in Thailand under the name “Bioscor International by Samitivej – The Hair Restoration Medical Center” with today’s latest complete medically and clinically proven results for patients. Using a combination of personalized analysis through blood and hormone tests, LED light therapy and surgical hair transplants, we create customized programs for each patient to make a tangible difference. The skin is the largest organ in the human body and one of the most vital. Much of an individual’s beauty and youthful appearance can be attributed to supple, healthy, well-nourished skin. Unfortunately, years of stress and environmental factors such as pollution can take their toll on this fragile covering. Here at Samitivej Esthetics Institute, we aim to restore the lost radiance and luster to aging skin. Our expert dermatologists are well-versed in the latest available technologies and techniques to smooth away wrinkles and take years off of your face. To do so, we employ a variety of methods, from the ever-popular Botox to the less invasive Dermalift, in which a mild electrical current stimulates the facial muscles without surgery or injections. We also offer corrective procedures for unsightly varicose veins, moles, warts, tumors, discoloration, uneven pigmentation or teenage acne. We’ll take care of dry, itchy skin riddled with recurrent eczema and make sure that sensitive skin types get the gentle care that they need. We can even get rid of that embarrassing tattoo you’ve been trying to cover up for years. In everything we do, we maintain the same high level of international care for which we are globally recognized and JCI-accredited. 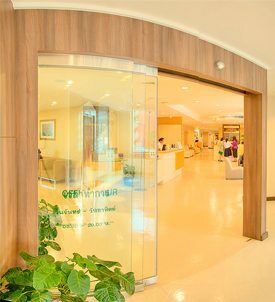 For those desiring surgically related esthetic enhancements, Samitivej Hospital’s Plastic and Esthetic Surgery Clinic offers many options. Collagen mask and eye mask – revitalize and moisturize the skin, lessen unpleasant dark and swollen area around the eyes. 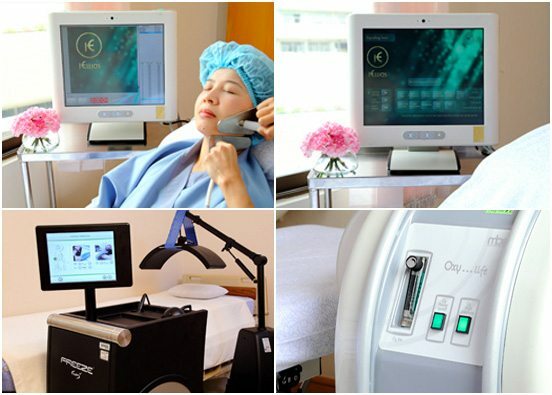 Phonophoresis – special ultrasound to deliver vitamins and skin nutrients to the dermis in order to moisturize as well as strengthen the skin and reduce puffiness under eye area. Iontophoresis – low-energy electrical power to embed the nutrients and medicine into the skin, resulting in brighter and younger look. Sqn Ldr Chaiyapruk Pundee, M.D.